My handy dandy "Summer Fun Ideas" pinterest board has helped me out once again. Really, this is my summer of pinterest. I am in love with it! Anyway, I marked this project as a definite MUST for the girls & I. 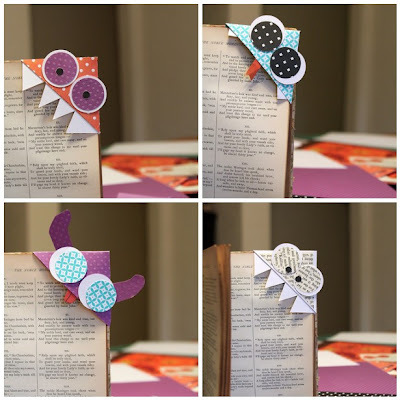 We created corner bookmarks last year from little paintings we created using bubbles. Click HERE to get a peek. This idea came from the blog I Could Make That. The instructions are fabulous & SUPER easy to understand!! The girls took the project in their own direction---Zoey made a snake & Pazely made a dog. I love the monster with teeth, so I stuck with that. I even made one in a chameleon-like fashion. He sneaks up on you as you're reading. You don't even notice he's there because he blends in so well. And, believe me, we've got plenty of books to put these to good use! Oh, my! You make the cutest things.